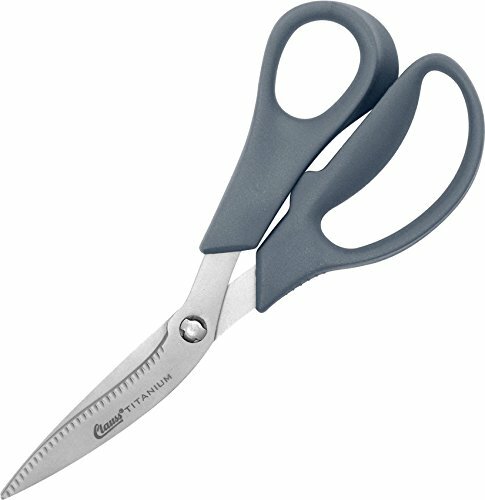 All Purpose Shears by Clauss at N Online Agency. Hurry! Limited time offer. Offer valid only while supplies last. 8 1/2'' overall. Titanium bonded serrated blades. Ergonomic gray nylon handles with extra large finger holes. Handles detach for easy cleaning. 8 1/2" overall. Titanium bonded serrated blades. Ergonomic gray nylon handles with extra large finger holes. Handles detach for easy cleaning. Includes black nylon carrying pouch. Hang packaged. If you have any questions about this product by Clauss, contact us by completing and submitting the form below. If you are looking for a specif part number, please include it with your message. Knipex 95 05 155 SB Electrician's Shears 6,1"